Do you ever remember playing Guitar Hero back in 2005 and thinking to yourself “wow I’m actually super talented, I almost have a perfect score on Metallica’s Enter Sandman – maybe I should seriously consider becoming a professional guitarist”? Well, we are pumped to present Beatmaker Kit from ROLI – the ‘Guitar Hero’ of 2019 – a kit designed to help music enthusiasts of all abilities to produce their own tracks, play with hundreds of mind-blowing sounds and improve their skills. This all-in-one Beatmaker Kit is a hardware-software package that takes a track from start to finish. 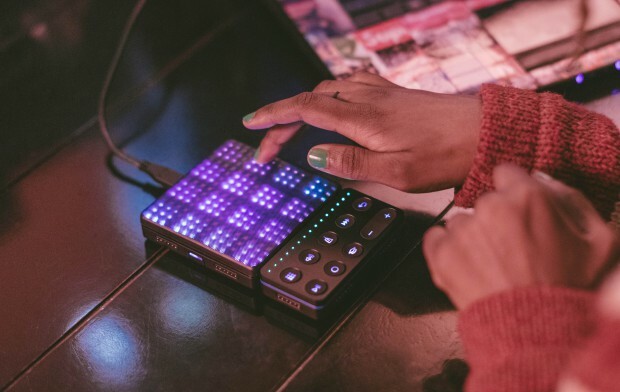 It centres on the high-powered Lightpad Block and Loop Block — two ROLI Blocks with a surface area the size of a postcard— and includes a suite of software that caters to everyone from learners to skilled producers – just like Guitar Hero. Designed for learning, playing, producing and ideal for traveling, the Beatmaker Kit is the latest evolution of ROLI BLOCKS, the modular music-making system. Since 2016 BLOCKS has become more accessible. An increasing number of software programs — from Apple’s GarageBand to Steinberg’s Cubasis app — are compatible with the system’s MIDI Polyphonic Expression (MPE) controllers, which are the most affordable on the market. With approachable software and a reasonable price point, the kit empowers more people to make music with BLOCKS. Beatmaker Kit is available for purchase on Roli.com.